Both my hubby and I were born and raised in KL. Hence, we got no ‘kampung’ to ‘balik’ and we always stay in the KL City Centre during Chinese New Year. However, we enjoy this as it is the best moment for our family and friends gathering as most of our family members and friends are also locate in KL. We could have gathering every day in the jam free city, yay! We love to gather in restaurant because we Chinese love to eat. 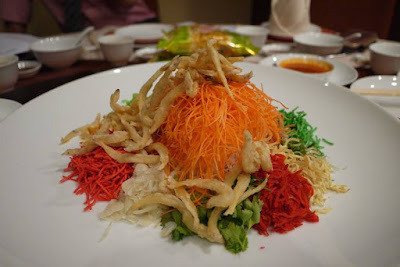 Hence, many restaurants have come out CNY menu with auspicious dishes including Yee Sang. 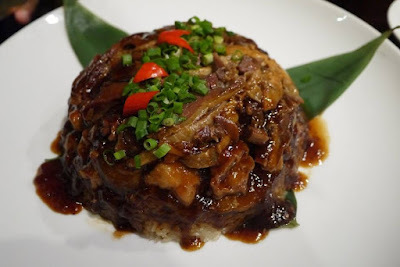 Now, if you are looking for authentic Chinese cuisine in a contemporary restaurant, I’d recommend the Tai Zi Heen at Pullman Kuala Lumpur City Centre Hotel & Residences. Themed as “Spring in the city", Tai Zi Heen is offering mouthwatering Chinese cuisine especially made available in this Lunar New Year. Prepared by Chef Michael Wong, I find his creations features diversified color, aromatic flavor, and excellent taste. Let’s see some of the CNY dishes we have tried recently. Crispy whitebait Yee Sang is more crunchy and crispy than traditional Yee Sang. Pair with chef’s signature plum sauce, Crispy whitebait Yee Sang is a great Yee Sang for the whole family because most of the older people (Well, like my in laws and my parents) don’t eat raw fish. 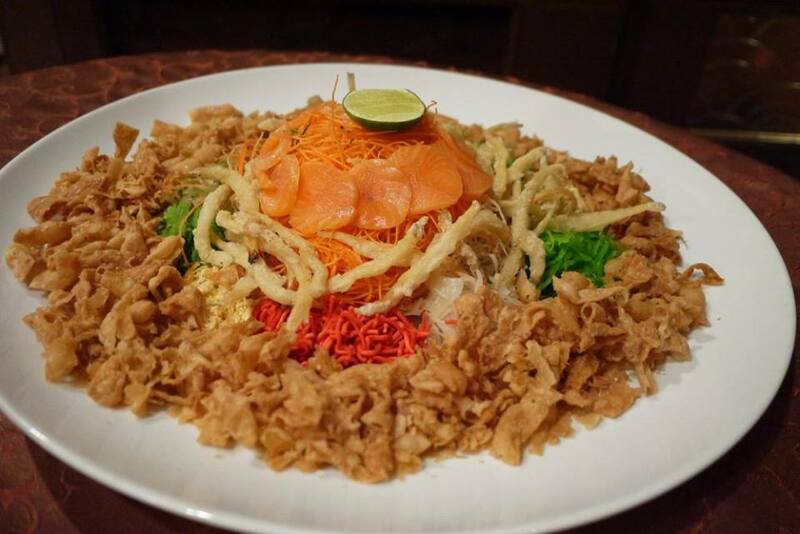 Tai Zi Heen Yee Sang is also available from Vegetarian snow pear yee sang, salmon yee sang, crispy whitebait yee sang, Hamachi yee sang, abalone yee sang, and four seasons prosperity yee sang (butterfish, salmon, tuna, jellyfish) available in regular, medium and large sizes. Supplemental orders of abalone, salmon, Hamachi, butterfish, Canadian surf clam, tuna, shell fish, snow pear, crackers and crispy whitebait are available too. 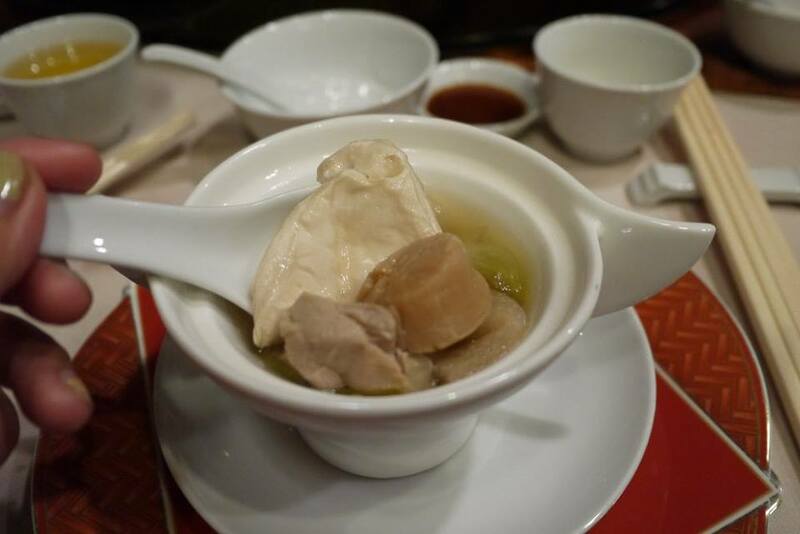 We love this soup as the bowl was filled with fish maw, sun-dried scallops and chicken. 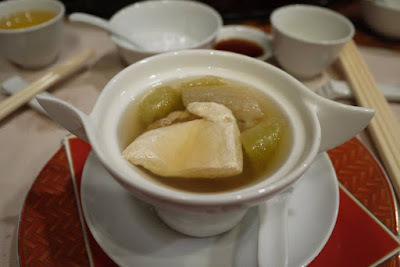 Fish maw is known for its various nutritions and it is especially great for women in beauty purpose. However, it is not easy to prepare because it has a strong fishy smell. Chef Michael Wong had prepared it so well, the soup was clear and tasty, and we did not taste any fishy taste in this soup. Now, can we have more please? 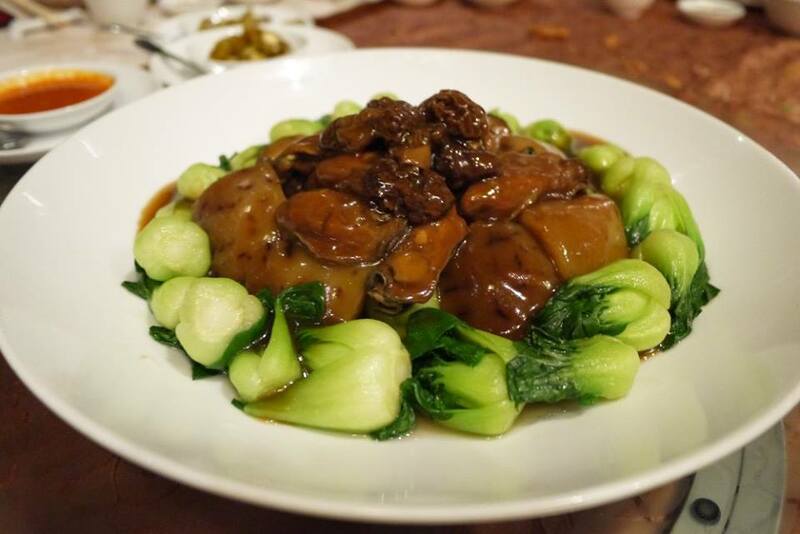 Braised sea cucumbers with baby pak choy is a traditional Chinese vegetable dish. Well, at least my mum will cook this dish in every CNY. 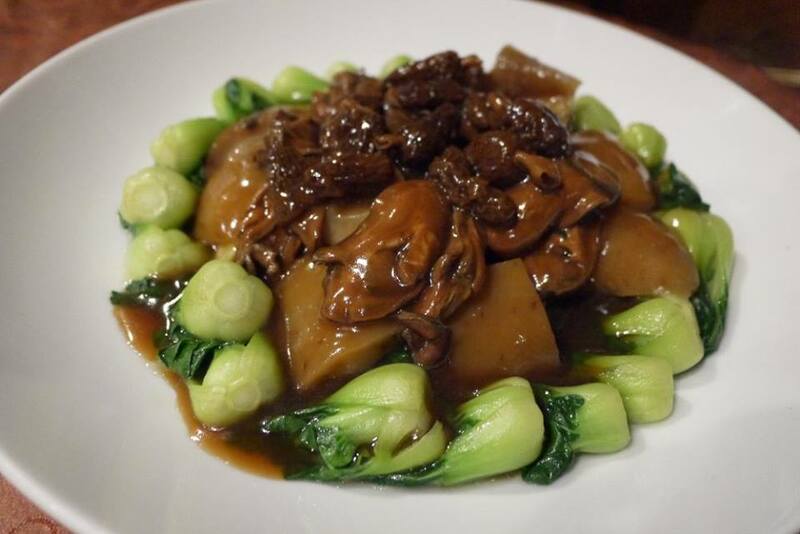 What’s so special at Tai Zi Heen is that Chef Michael Wong has added the morels mushroom and sun-dried oysters into this dish. It made the dish more flavorful than the traditional ones. 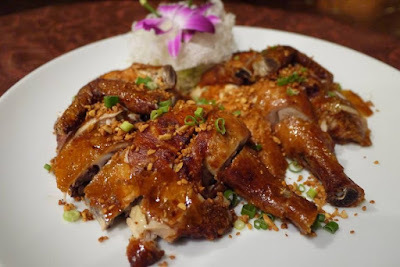 Sounds like a normal dish but trust me, you should not missed the roasted five spice chicken sprinkled with crispy garlic and spring onions whenever you dine at Tai Zi Heen. 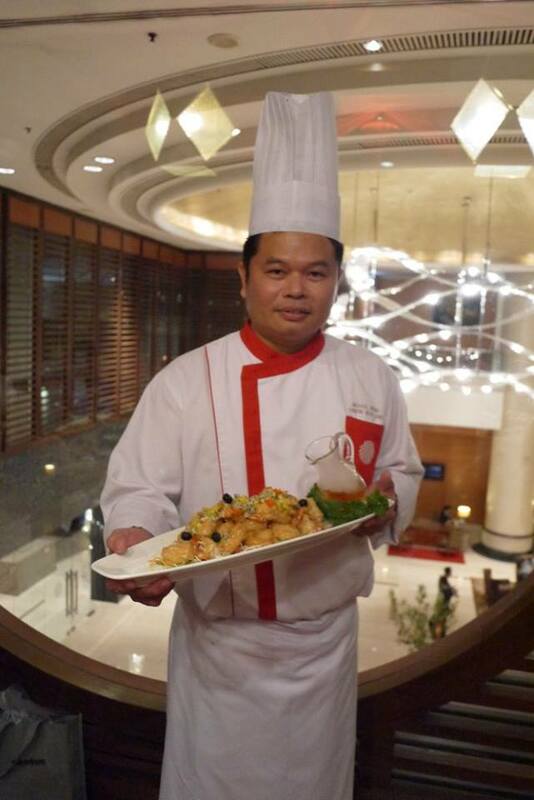 Chef Michael Wong has marinated the chicken so well, and roasted it until it is crunchy outside and juicy inside. We like the crispy garlic and spring onions which brings out the chicken fragrant, yummy! 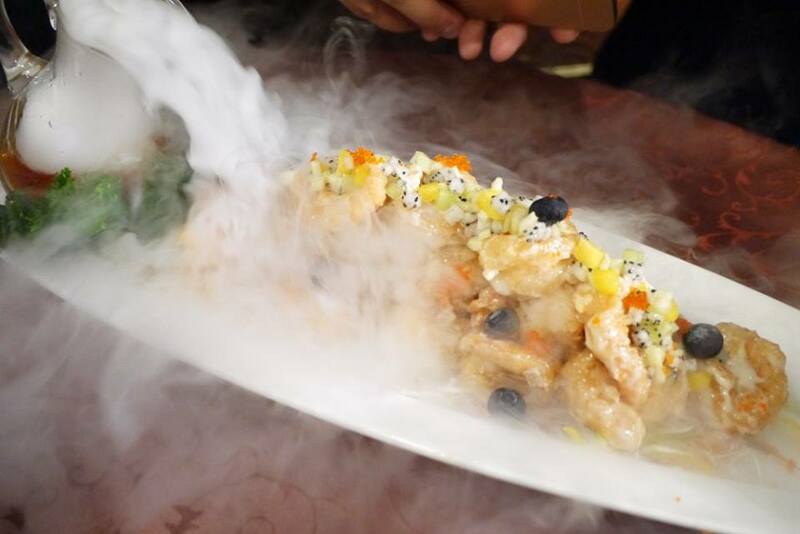 First of all, the dish is tantalizing as it was presented in ‘smoky icy’ way. Chef has added dried ice for the tantalizing effect, which made me curious if the dish is served cold or not. End up the prawns were served hot just like all the Chinese cuisine lol. Secondly, prawns is a must have in CNY as it is pronounced “Ha”, which means laughter in Chinese. And most importantly, I love to eat prawns. However, I hate peeling the prawn shells. It is not only inconvenient but it could be ugly when peeling it. Sometimes, I even give up eating them when it is a formal meeting. Crispy prawns coated with lemon dressing, tropical fruit salsa and tobiko caviar is best for ladies like me as Chef has peeled off the prawns’ shell prior serving, yay! Served with tropical fruit salsa and tobiko caviar, the prawns taste crunchy, sweet and sour outside but juicy and sweet inside. I can have the whole portion myself. 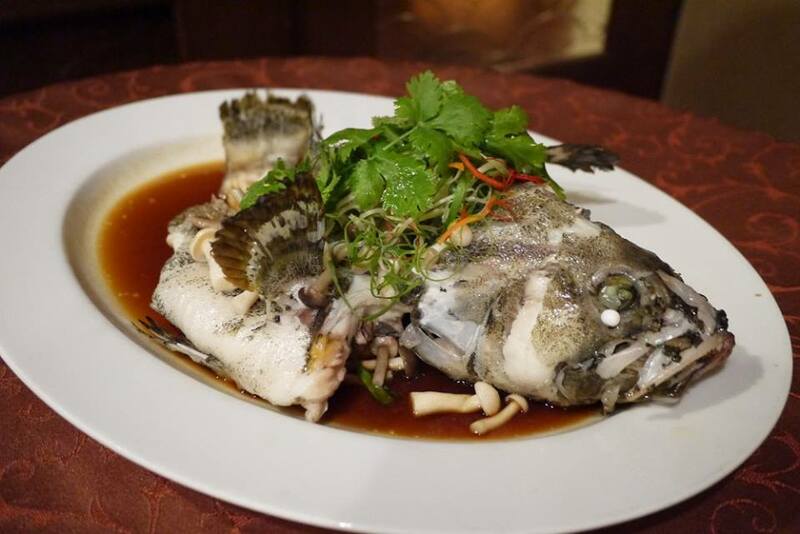 The dragon-tiger grouper was fresh from the aquarium. It taste fresh and sweet with the simple steaming style. Lap mei fan is a special item on the menu during the Chinese New Year period, and it is another must have during the festive season. Stir-fried glutinous rice and Chinese-style preserved duck smells great and taste flavourful. I love this special desserts prepared by the Chef, as it is not only beautiful but tasty too. Talking about innovative, It was my first time having deep-fried sesame balls stuffed with salted egg yolk. We couldn’t stop eating it and we ended up ordered more of the sesame balls that day. On the other hand, the sweet potato coated with Ping Pei Snow Skin is not too sweet, perfect for the health conscious ones. By the way, besides their regular dishes, Tai Zi Heen also has some special CNY Set Menu just for the Chinese New Year season! 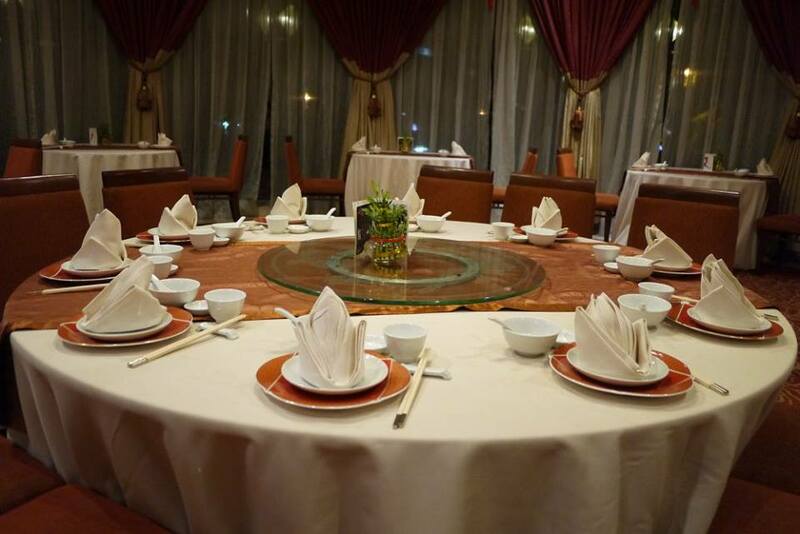 Tai Zi Heen is a Pork-free restaurant, it is open during Chinese New Year’s Eve and throughout the 15 days of the festival. 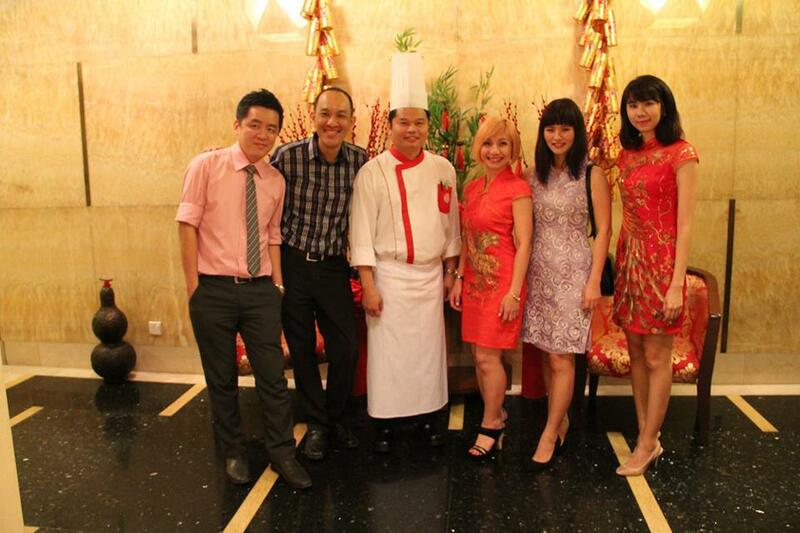 For reservations, call 03-2170 8888 ext 8200 or email restaurants@pullman-klcc.com. 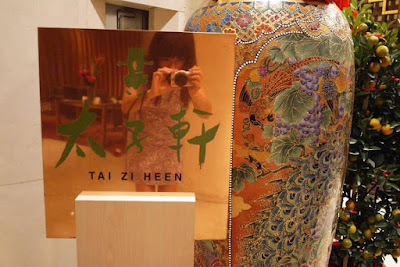 I tried the food at Tai ZI Heen is good and authentic too. Love the restaurant ambient too. 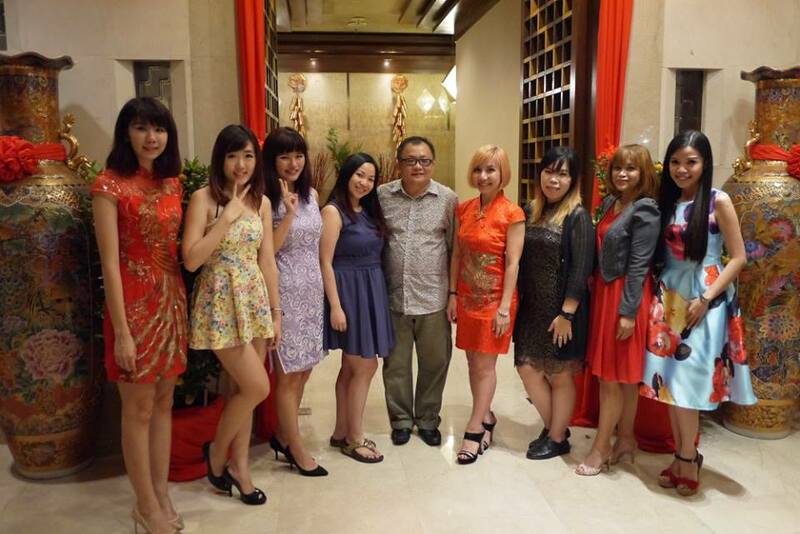 Looking good in the lilac cheongsam babe, how you manage to stay so slim after feasting so much! one of the best cny restaurants in town. Happy Chinese New Year! 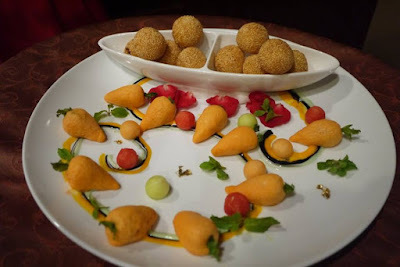 The food looks really tempting Rane dear and love the ambiance of the place. Happy CNY dear! 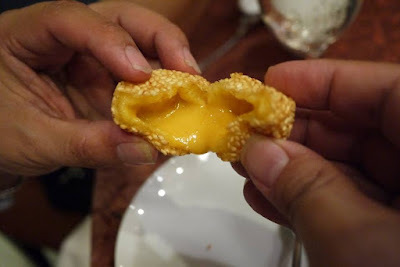 salted egg yolk galore in the sesame balls. deliciousssss and one of my faves there.